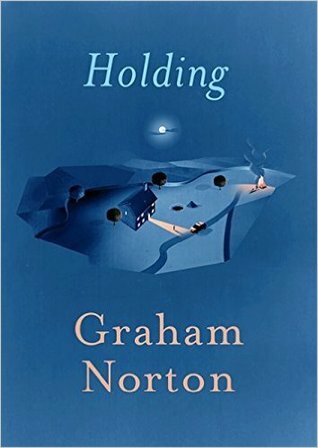 Graham Norton’s masterful début is an intelligently crafted story of love, secrets, and loss. The remote Irish village of Duneen has known little drama, and yet its inhabitants are troubled. Sergeant PJ Collins hasn’t always been this overweight; mother of­ two Brid Riordan hasn’t always been an alcoholic, and elegant Evelyn Ross hasn’t always felt that her life was a total waste. Holding was a good mystery but it lacks a certain oomph that made me want to put it on my list of favorites. I do not read mysteries. Mysteries, for the most part, bore me. I usually can figure out who the bad guy is about halfway through the book. But something about Holding’s blurb drew me in. Also, that it is set in Ireland was a major selling point too. This book was very well written and the characters all came alive in my mind. I could see myself in the village of Duneen, investigated whose bones were unearthed. I could hear the lyrical Irish accents, which I love. I could see the fields and almost smell the various smells that come with farm life. For a book to get me that immersed in it, which almost never happens, is a very good thing. I love it when a book does that to me. I did figure out parts of the mystery by the middle of the book. But, as soon as I figured out one thing, another would crop up and there was a huge twist at the end of the book. One that took me by surprise. When I say I didn’t see what happened coming, I didn’t see what happened coming and it surprised the heck out of me. What I didn’t like was the triangle that formed between Brid, Evelyn, and PJ. I didn’t think it was necessary for that triangle to mimic the Brid, Evelyn, and Tommy one year earlier. It added unneeded drama. I could see why the author chose to do it, though. It didn’t seem to add anything to the book and kind of annoyed me at times. The end of the book was pretty standard and all the plotlines were wrapped up. Like I said about, I was surprised at the major twist that happened towards the end of the book. I did not see it coming. I really enjoyed reading Holding even if I thought that there were some unneeded plotlines. The mystery was truly that, a mystery and the twist at the end of the book did surprise me. The only thing I didn’t like was that I felt almost too much attention was paid to Brid and Evelyn’s lives at times. Other than that, it was a good mystery but nothing that I would reread.